Does sending emails to your email list overwhelm you? Does it feel like one more daunting thing on your never-ending blog to do list? I feel your pain, but I’ve got be honest here. 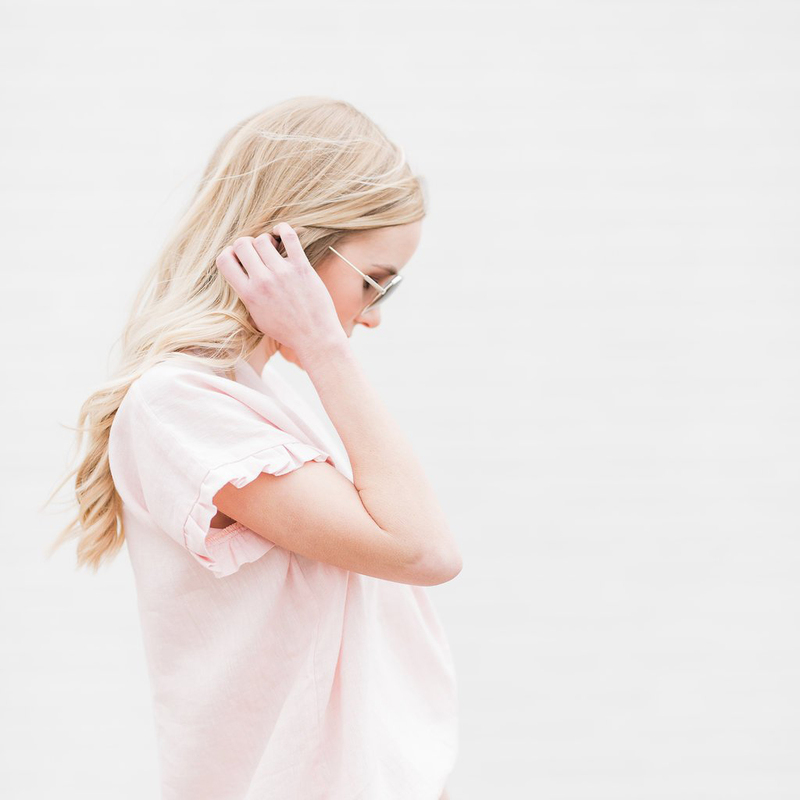 One of my favorite things about blogging is connecting with my email list. It wasn’t always this way, but when I begin to see my email list as “my people”, I became much more excited to reach out to them. The first time I received a reply back from an email, letting me know that it was the exact right word at the right time for them, I was hooked. I wanted to continue to share with my dear readers as often as possible. Remember your email list are the people who chose you, sure many of them are there because they wanted the freebie you offered, but they chose to download the freebie you created. They are interested in the things you are interested in. These are your people. I would highly recommend connecting with them as often as you’d like. 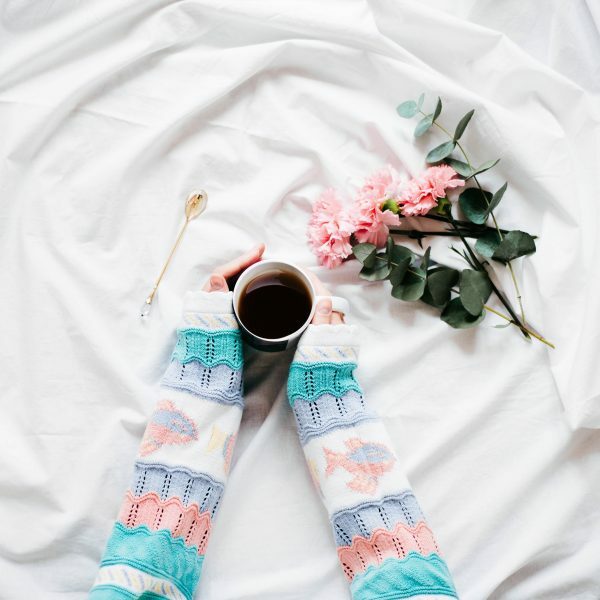 I know of one blogger who emails her list daily, now I am not suggesting you do that unless you feel led to, but don’t shy away from connecting with your email list regularly. Many of them want to hear from you. 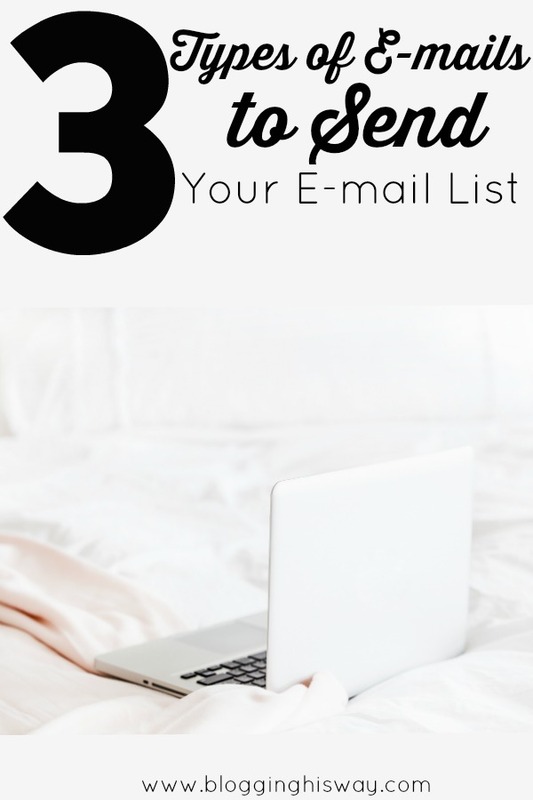 So, let’s dive into 3 types of emails you can send to your email list. This is the simplest type of email to send. You’ve already written the content, you just simply need to pick a portion of your blog post to tease your email list with. To do this, just copy and paste a portion of your post into an email, at the end leave a “continue reading” link for your reader to be directed to your blog post. This kind of email is a win win. 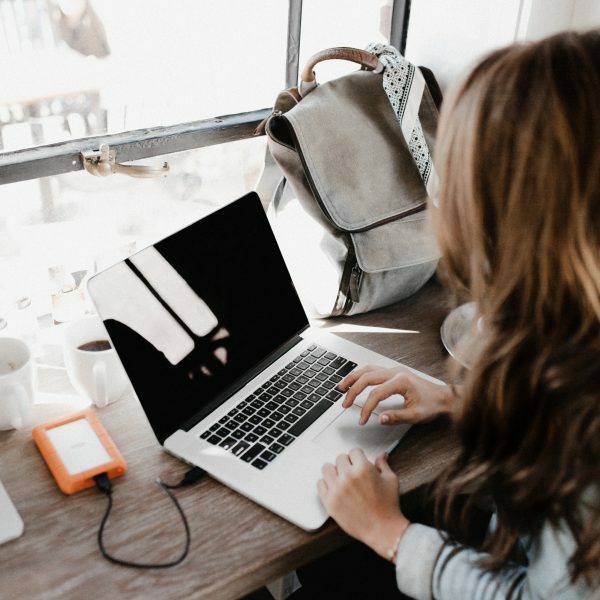 You are connecting with your audience, and you are driving traffic to your blog. This is my favorite type of email to send and receive. I love connecting with my email list on a more personal level. I often share things with my email list that I don’t share on the blog. This allows your email list to know you a little bit better and gives them an advantage for being a subscriber to your blog. Often times I just share a personal story from my week or maybe something from many years ago. I am much more vulnerable in my emails than I am in my blog posts. People love this! We all want genuine connections with one another, and when we are willing to make ourselves vulnerable, people can connect with us on a deeper level. I once wrote an email to my list about a struggle I had been facing that week. It was a vulnerable, raw email. So much so that I really hesitated to even send it. With a knot in my stomach I did it anyway and that was the email that gained the most responses from my readers. People appreciate real and vulnerable. 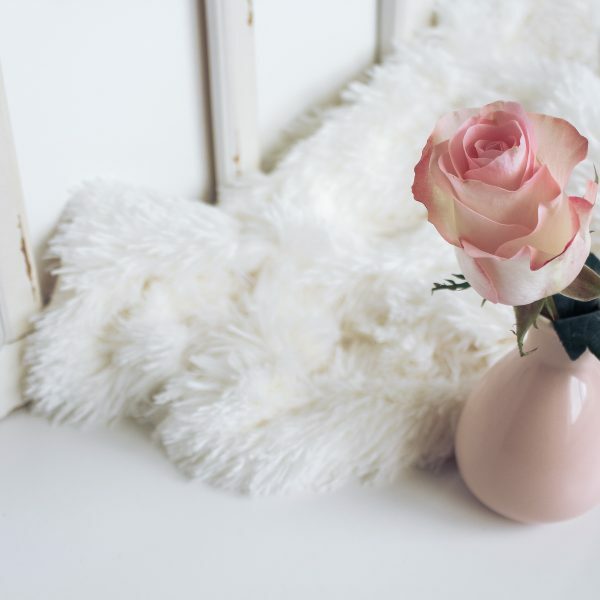 Your email list is the perfect place to connect deeply with your readers and share things you might not feel comfortable sharing on your blog. This is another type of email people respond really well to. We all love a good round-up post, so why not send a round-up email. This could be a round-up of your top post. You could title the email “Top 10 Blog Posts” and include links to your top visited blog post. This is another win win type of email. You are connecting with your readers and also letting them know about some awesome content on your blog they may have missed. Another type of round-up you could send is a favorite podcast round-up or favorite books round-up. Remember these are your people. They are interested in the things you are, so don’t be afraid to treat them like a friend and share with them the things you like. Don’t we all love hearing about our friends’ favorite things? Send your email list a round-up of your favorite things, they’ll love it! Hopefully this post sparked some new ideas of ways to connect with your audience. My biggest piece of advice is to not be afraid to treat your email list like a friend. These are your people! They love hearing from you. So, send them a blog post teaser, a personal email, or a round-up email, and they’ll be thrilled. And if they aren’t, that’s ok too. They weren’t the right fit, but the right fit people will eventually find you and those are the people you want on your email list. Ruth Soukup describes this as “a list of raving fans”. That is what you want your email list to consist of, people who truly want to hear from you and connect with you. So, you tell me, what are your favorite types of emails to send and receive? I’d love to hear from you!